Award-winning BBQ brand Oklahoma Joe’s BBQ has opened its first Florida location at One Daytona in Daytona Beach, and we were invited to a media preview to sample of the menu. There are a lot of great BBQ places in Central Florida, but what sets Oklahoma Joe’s BBQ apart from the rest is its history. Over 25 years ago, Joe Davidson saved up $2000 and built 18 smokers that he took to the State Fair. He sold those and had orders for more, and Oklahoma Joe’s was born. To help build a name for the smokers, Joe started competing in various BBQ competitions, and to date, his team has won over 300 championships, including the coveted Grand Champion Overall Title at the Jack Daniel’s World Championship. 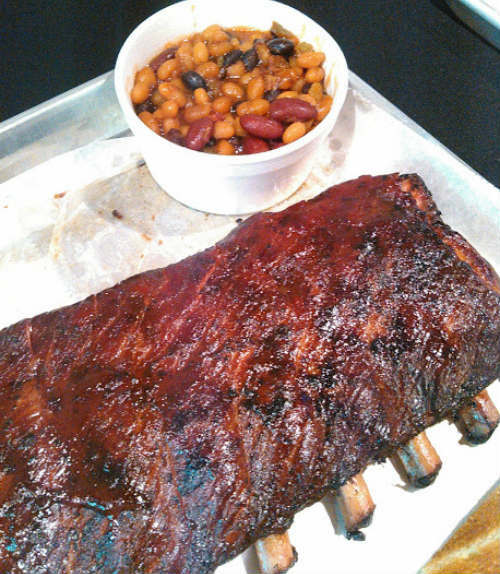 He then took these winning recipes, and opened the first Oklahoma Joe’s BBQ in 1994. So when you eat Oklahoma Joe’s food, these aren’t recipes created in a test kitchen. These are award-winning recipes tested in competition with the best pit masters around. And you can really taste it in each bite. For the barbecued meats, we sampled the award-winning ribs, brisket, and burnt ends. The burnt ends were my favorite of the three. 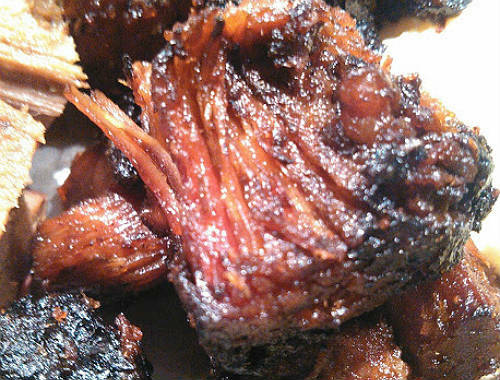 Oklahoma Joe’s BBQ uses prime cuts, not scraps, so their burnt ends are quality in every bite. We also sampled a trio of sides, which were equally delicious: Spicy Slaw, Potato Salad, and the “Best Beans on the Planet” (the actual dish name). 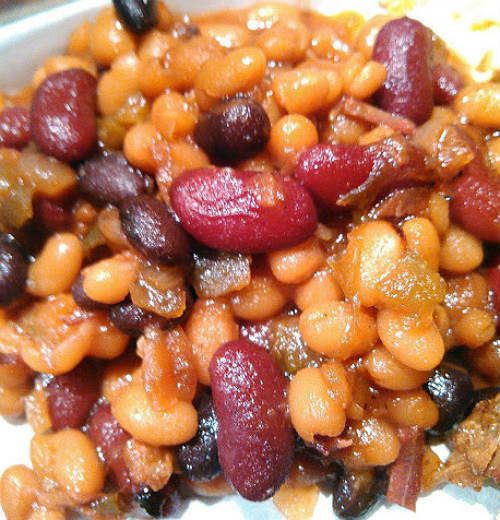 The beans actually featured a variety of beans, along with pulled pork and brisket slivers, in a BBQ sauce, and it paired really well with the meat dishes we tried. I also loved the potato salad, which was like the one my grandma used to make. 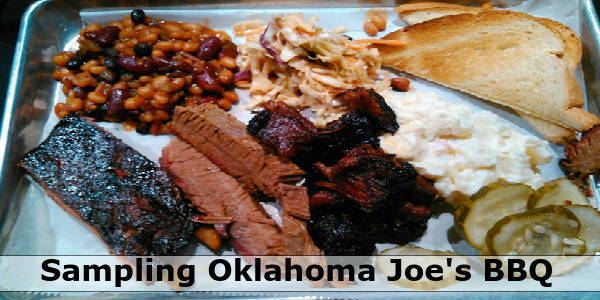 If you’re craving BBQ, definitely add Oklahoma Joe’s to your list. To see the full menu or get directions to the new Oklahoma Joe’s BBQ at One Daytona, visit okjoes.com.